Dixie Outlet Mall shopping information – detailed hours of operations including black Friday and holiday hours. Look at great selection of outlets and factory stores located in Dixie Outlet Mall. Coupons, sales and reviews from customers. Mall locations: Mississauga, Ontario. Phone: (905) 278-8010. Number of stores in Dixie Outlet Mall: 127. Don´t forget to write review about visiting the Dixie Outlet Mall. From the west: QEW East to Cawthra Road, Right onto Cawthra Road, Left onto South Service Road, Dixie Outlet Mall is on your right. From the east: Gardiner Expressway/QEW West to Dixie Road, Left onto Dixie Road South. From Downtown Toronto via go transit: From Union Station take the GO Transit Lakeshore West Line, Exit the GO train at Long Branch station and take the Mississauga Transit Route 5 North bus. 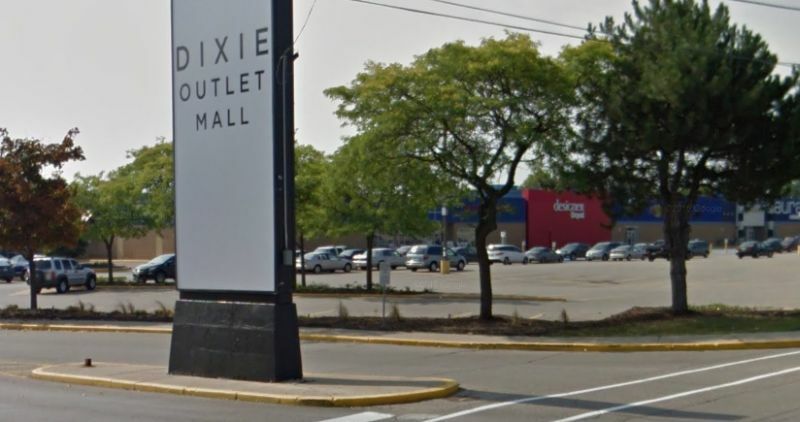 Route 5 North bus will take your directly to Dixie Outlet Mall. Help outlet shoppers and write a review about shopping in Dixie Outlet Mall and rate this location! Up to 50% OFF Spring Collections. Kick off Spring in style with Up To 50% Off your fave styles! Saving you more than a big box store!Big sale up to 67% OFF.